Bill Boor, Cliffs Natural Resources president of ferroalloys. Cliffs Natural Resources could scale back its spending in the Ring of Fire if “uncertainties” associated with its chromite mine project in the James Bay lowlands aren’t ironed out with Queen’s Park.With provincial negotiations in a stalemate, the Cleveland-based miner is re-evaluating this year’s budget to advance its $3.3-billion Black Thor chromite project. 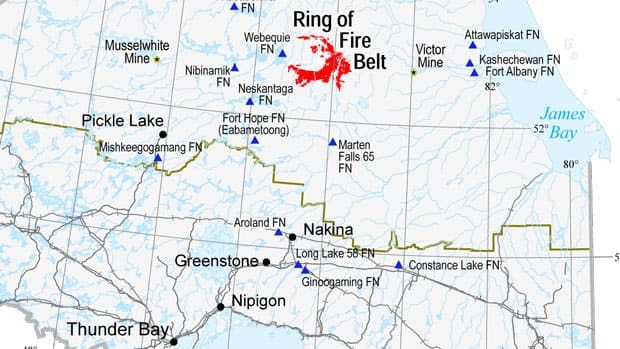 Clement said the potential to mine in this remote region could go on for “several decades” and the ripple effect from the mineral wealth will be felt beyond Ontario. As you may be aware, Cliffs is currently undertaking an Environmental Assessment (EA) of the Cliffs Chromite Project. A number of studies and reports are required as part of the Environmental Assessment process. One of these documents is the Terms of Reference (ToR), which specifies the studies to be conducted and the information to be provided by Cliffs as part of the EA to meet the requirements of the Ontario Environmental Assessment Act. A Record of Consultation accompanies the ToR to provide documentation of communications and engagement activities with interested parties. Cliffs has now formally submitted the Final Amended ToR and Amended Record of Consultation for the Individual Environmental Assessment of the Project to the Ministry of the Environment (MOE). This initiates the Ministry review period, after which a decision on the Final Amended Terms of Reference will be made by the Minister. This letter is to inform you that Cliffs Natural Resources, through its subsidiaries and affiliates, intends to develop the Black Thor deposit in the McFaulds Lake Area in Northern Ontario. The Cliffs Chromite Projects (Project) consists of extracting and processing chromite ore, exclusively from the Black Thor deposit with incidental contact along the adjacent Black Label deposit, and transporting the concentrate to a Ferrochrome Production Facility (FPF). 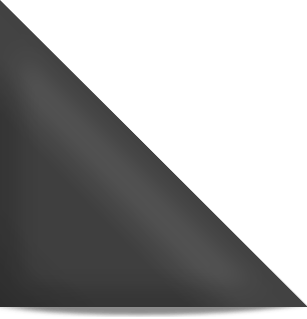 The proposed undertaking includes the construction, operation and retirement of the following four project components…….. In a rare occurrence, the Vermillion River Stewardship received all $103,000 it had asked for from the Ontario Trillium Foundation to fund a research project that will sample the water quality of the Vermillion River over a two-year period. Nickel Belt MPP France Gelinas, who has been a strong supporter for more testing of the Vermillion River, said it was the first time she has seen the Ontario Trillium Foundation hand out the full amount requested by a non-profit organization. 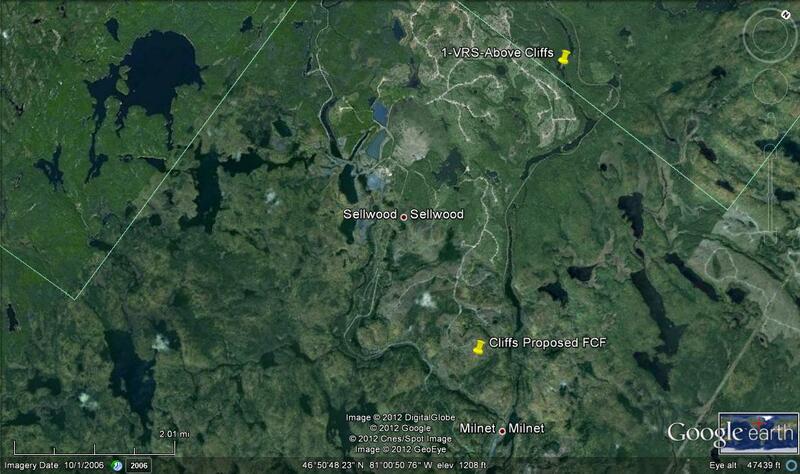 Cliffs Natural Resoures Black Thor chromite mine project is set in the Ring of Fire region in northern Ontario. Cliffs Natural Resources says it’s evaluating a number of water sources, including the Vermilion River, for its proposed ferrochrome smelter in Capreol in Sudbury — and that has the local stewardship committee concerned. Vermilion River Stewardship chair Linda Heron said the river can’t take any more development. “For years the water levels have been going lower and lower, so we question what we can afford to lose additionally out of the river,” she said. “Water intake from rivers will be governed by only allowing a small percentage of withdrawal from historical low flow river conditions,” he said in an e-mailed statement.